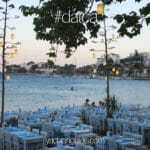 Dream a holiday that can take you to many of the most amazing places along the Turkish Mediterranean coast. A yacht holiday that will spoil you with its professional services, charm, hospitality and cuisine. 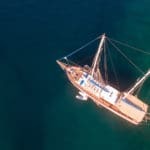 Among the many Turkish gulets that you can choose from, a journey aboard the remarkable classic boat charter, the Rainbow gulet can offer all of these delights and more. 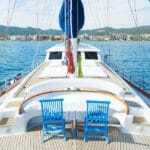 This lovely gulet hire is 30 meters in length and offers 6 spacious cabins. Comprising of one master cabin, 4 double cabin and one twin cabin, she offers a good choice in cabins. Ideal for families and medium sized groups, the Rainbow gulet charter also provides plasma TVs, air conditioners and en suites for guests’ private use in their own accommodation. Enjoy your meal times in three areas on board. There is dining on the aft deck, forward deck as well as inside in the salon. In addition to these areas, you can completely relax and take pleasure under the tropical Mediterranean sun on deck on your own sun mat with a cooling drink, as you feel the beautiful breeze while cruising and taking in all the magnificent scenery that surrounds you. 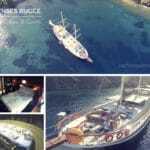 There is much to do while on board the Rainbow gulet. From lazing about to participating in water sports activities of many kinds. Why not discover an exceptional Mediterranean boat charter holiday with Turkish gulet charters, aboard the elegantly crafted Rainbow gulet charter this coming season.